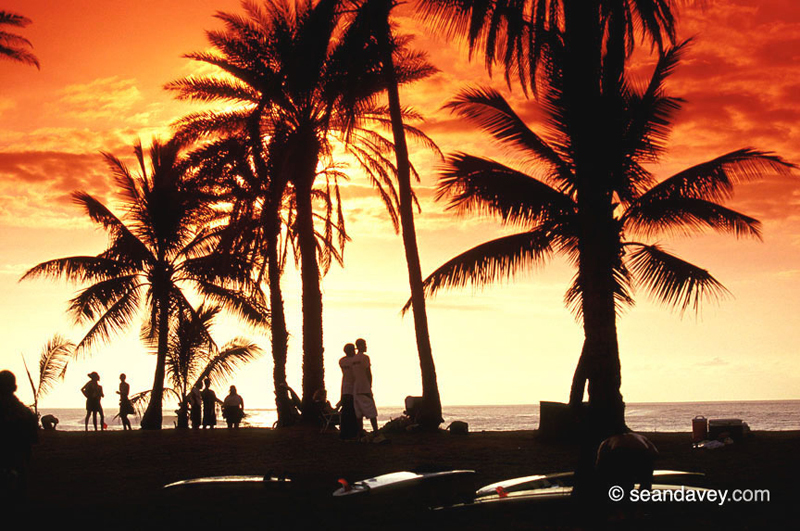 Located about one-hour drive from Waikiki, today Haleiwa and the North Shore of Oahu are known as the surfing capital of the world. 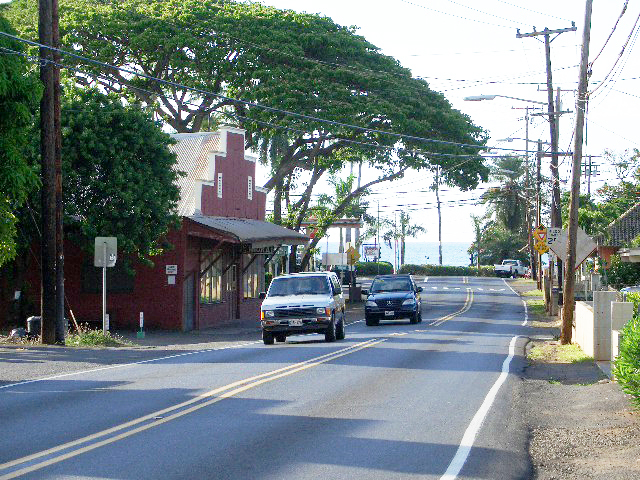 Haleiwa, pronounced hah-lay-EE-wah is an old community dating back to the 1900s devoted to the sugar plantation industry. Please navigate through the following slides to learn more about the town. The word Haleiwa means "house of the frigate bird" in Hawaiian and today the town�s architecture still resemble the early 1900s. . 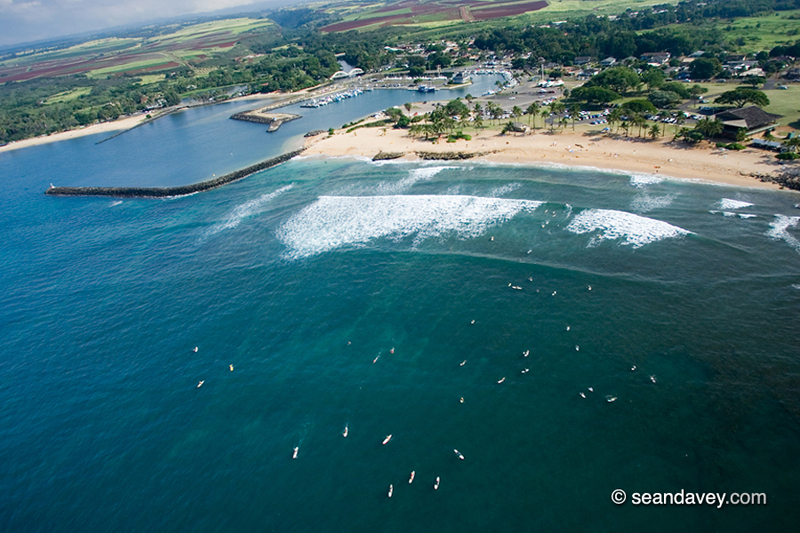 In 1984 Haleiwa was designated a State Historic, Cultural and Scenic District. All new construction must adhere to stringent specifications to preserve the Territorial architecture of Haleiwa�s early sugar industry times. 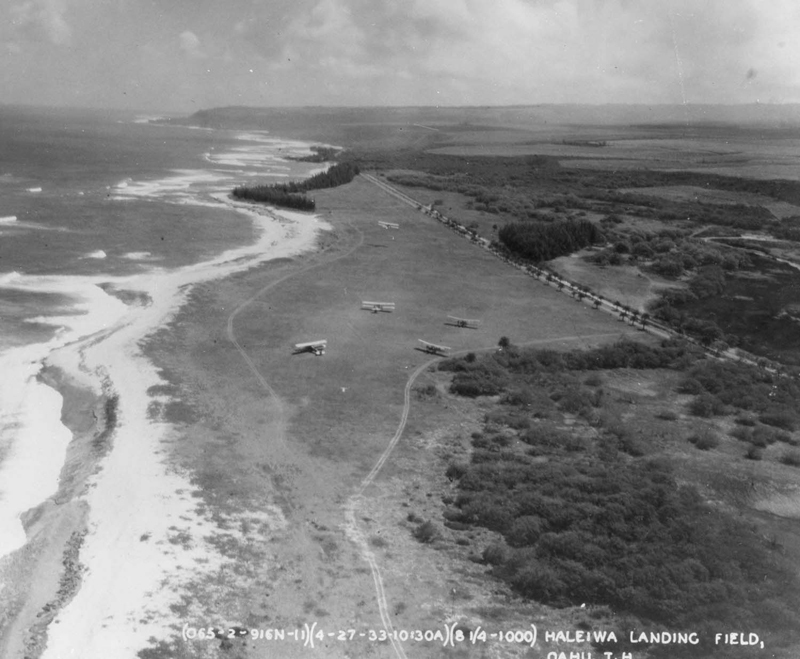 In 1928 the Haleiwa airfield was used mainly for flight training. During the 1940s the field served as emergency landing and a place to simulate real battle conditions. During World War II, the runway was paved and it became a busy reliever base for fighter aircraft patrolling the islands. 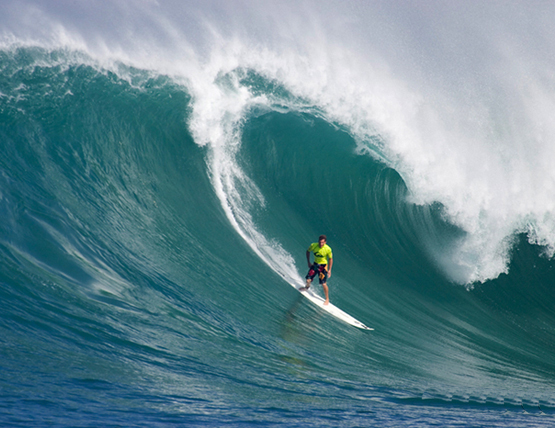 In 1898, Haleiwa�s finest hotel was built by businessman Benjamin Dillingham. 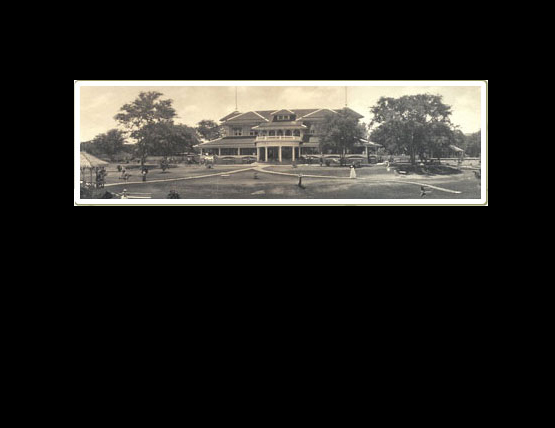 He named the hotel Haleiwa and it was located where 'Haleiwa Joe's' restaurant stands today. 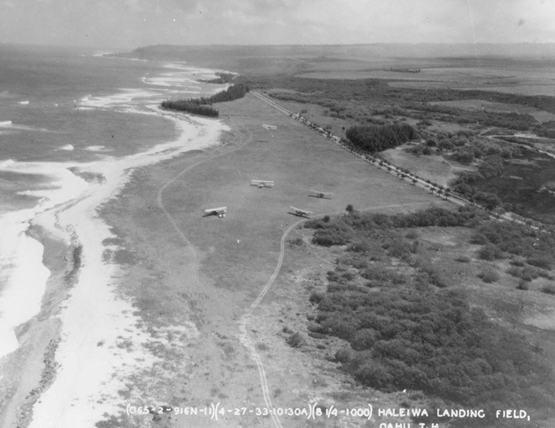 The opening of the Haleiwa Hotel helped generate new businesses and expanded tourism in the area. 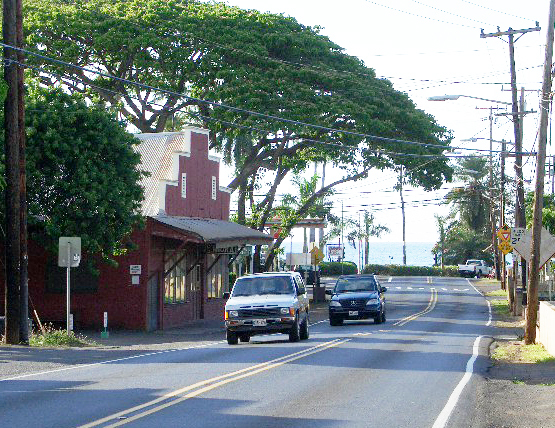 Today, many of the early business families and their original business buildings still remain in Haleiwa town. 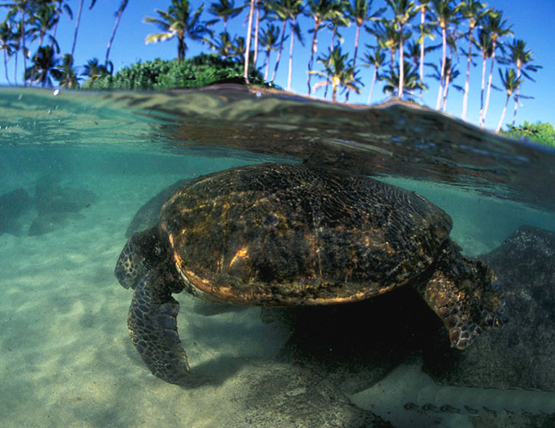 Today Haleiwa Town is home to a wide variety of restaurants, bars and cafes ranging from local style plate lunches, pizza, Mexican, Thai Food, as well as fine dining at Jameson�s or Haleiwa Joes. Places like Caf� Haleiwa and Rosie�s are known for their wonderful breakfast and in the evening you can enjoy the atmosphere at such locations as Breakers Bar at Cholo�s Mexican Restaurant. 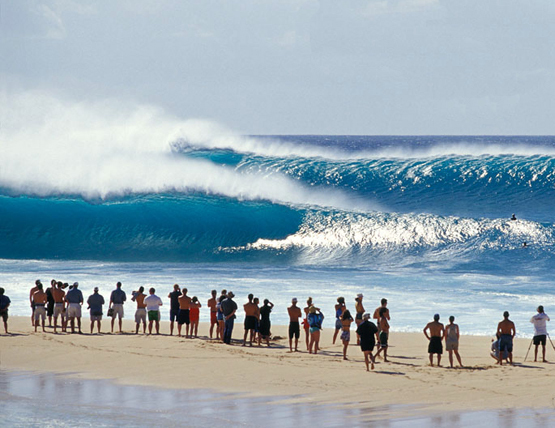 Often coined the �8 mile miracle� from Haleiwa to Sunset Beach the North Shore of Oahu has been home to famous beaches and surf spots: Banzai Pipeline, Sunset Beach and Waimea Bay. 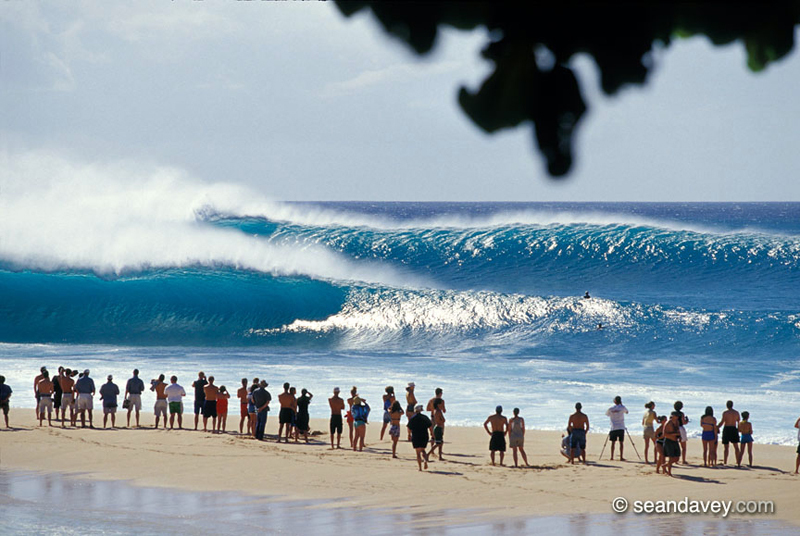 Every winter, swells generated in the North Pacific Ocean deliver large, magnificent, and many times dangerous waves to the North Shore. 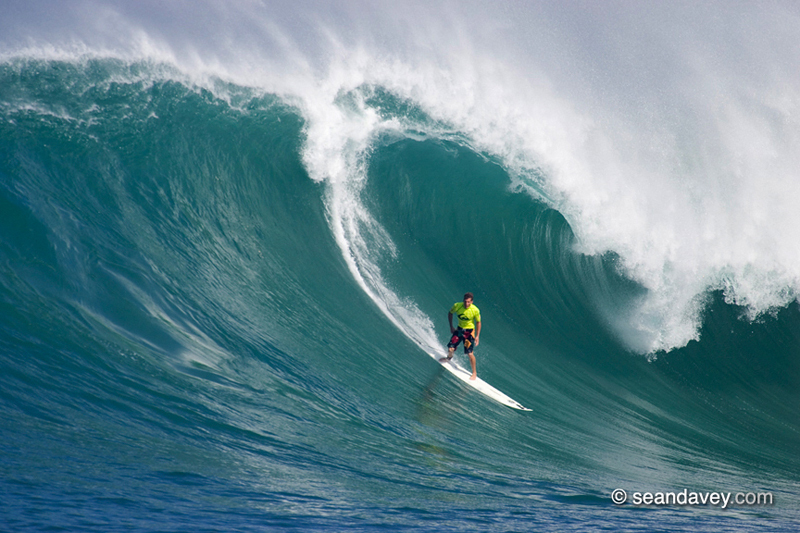 These swells can range anywhere from 2 to 40 feet high! 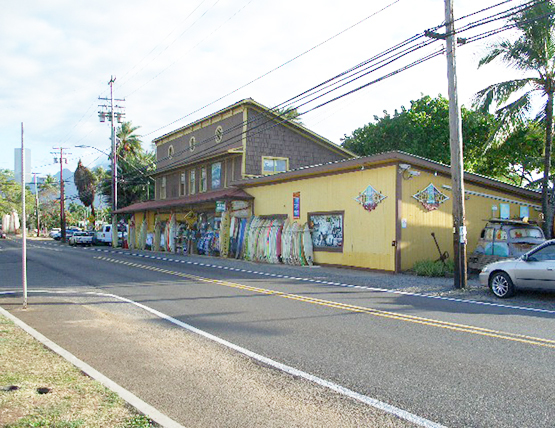 Historic building located in Haleiwa. 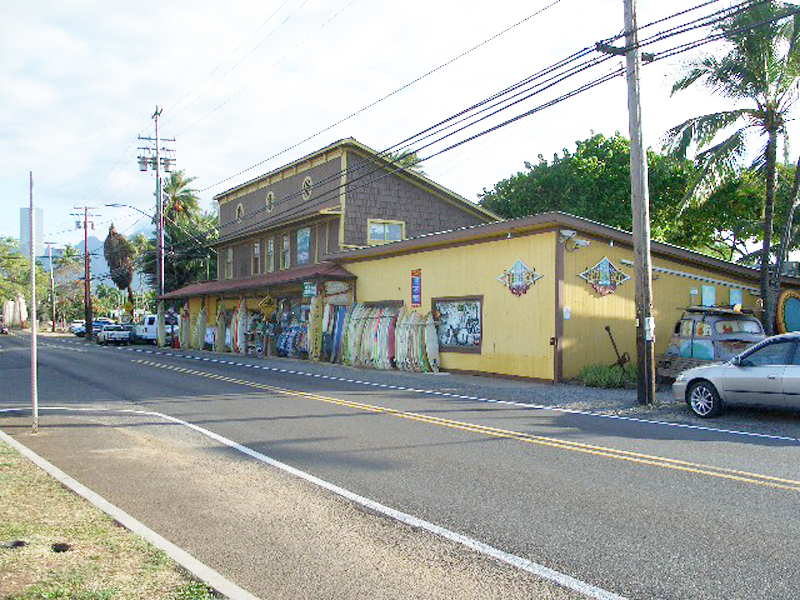 Today the building is the largest surf shop in the town. 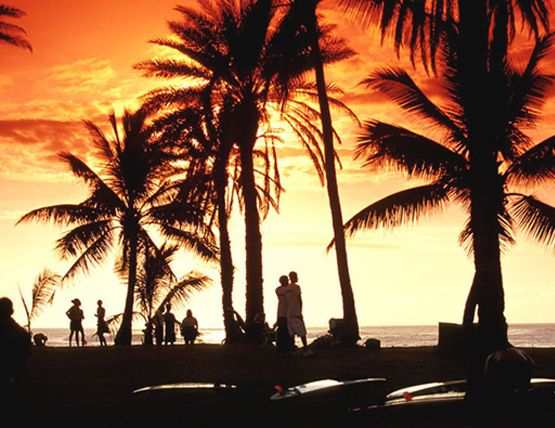 Haleiwa offers beautiful sunsets. 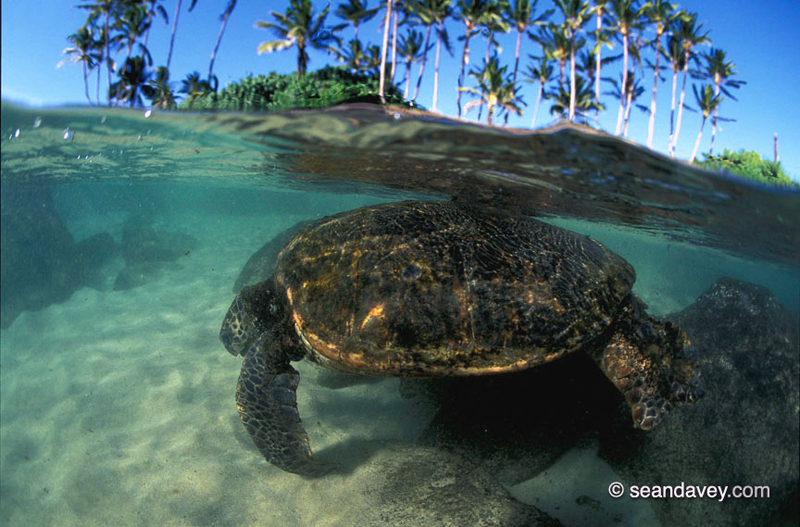 This picture was taken from Haleiwa's Alii Beach Park. 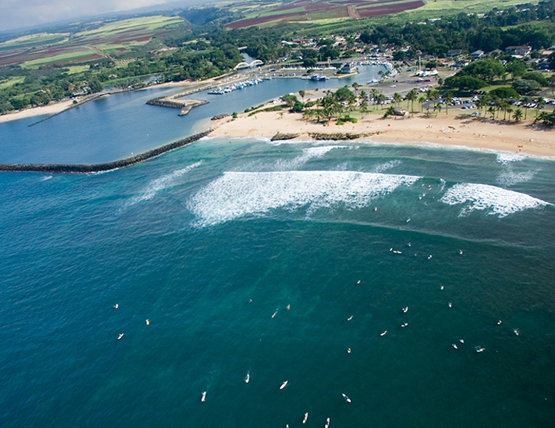 Find out more about Haleiwa and the North Shore of Oahu on the following websites.